Hundreds of jobs are under threat at the University of Southampton in a bid to cut costs. The move comes after a money-saving review, but the exact number of cuts will not be known until 23 October. The university said it was too early to predict how many posts would go, but stressed that staff would be redeployed where possible. A spokeswoman said employees' views had been sought and promised they had had a "significant influence". 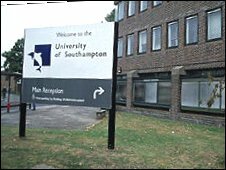 She added: "The University of Southampton has been reviewing its processes as part of a university-wide review of income and expenditure that began in April. "We have been consulting extensively with staff on proposals for restructuring since then. "As part of the initial proposals, some posts may no longer be required and we will be looking to redeploy staff to other posts that may become vacant. "The views of staff members have had a significant influence on the proposals that are now in development to take forward to the university's Council in October."